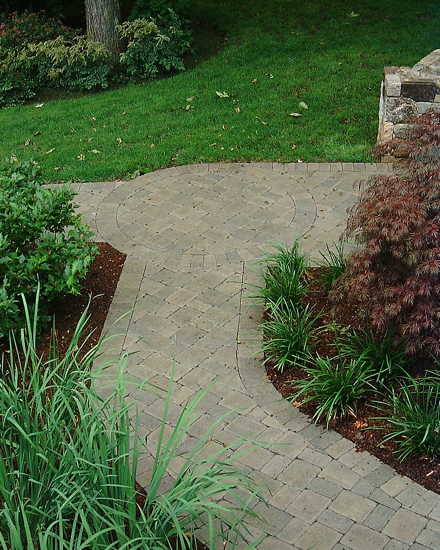 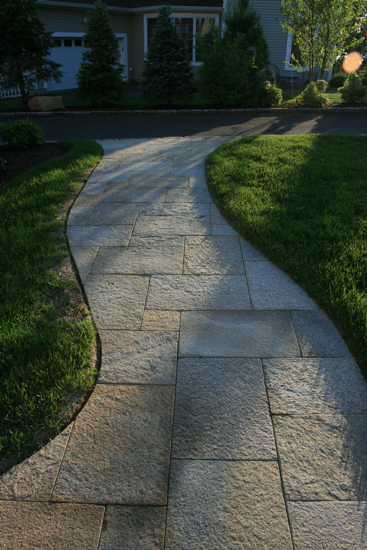 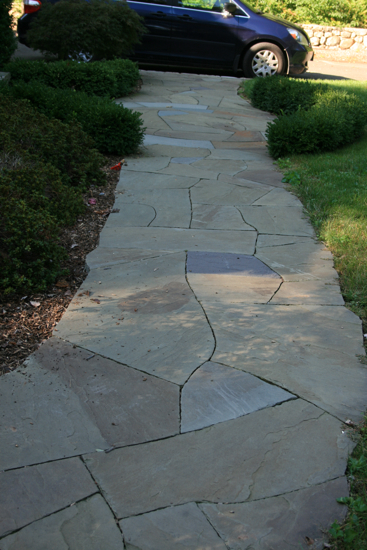 Walkways are critical transition areas between the major elements in a landscape. 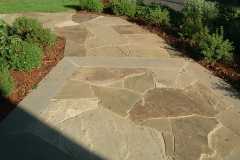 They guide you to and through the property and often are the first impression for guests and visitors who saunter the walkway to the front door. 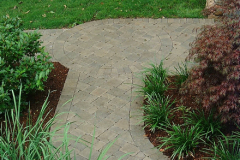 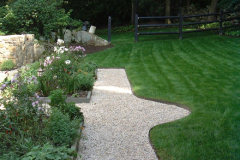 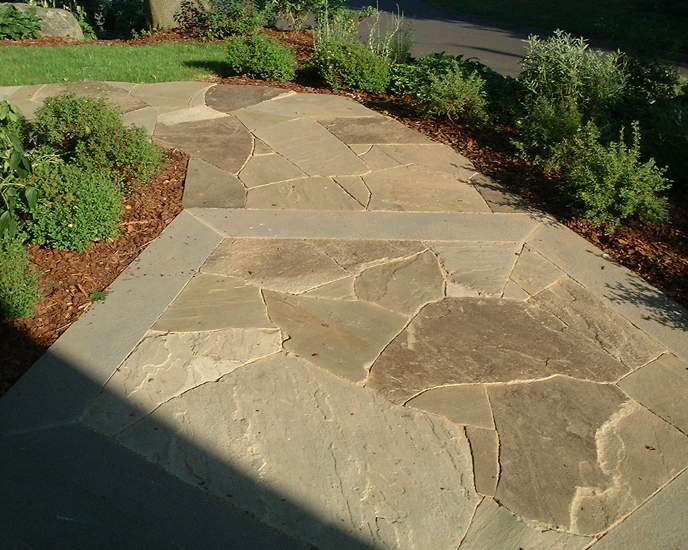 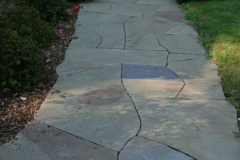 Walkways are comprised from all different types of materials, to a permanent walkway where the stones are set in cement to a natural gravel path. 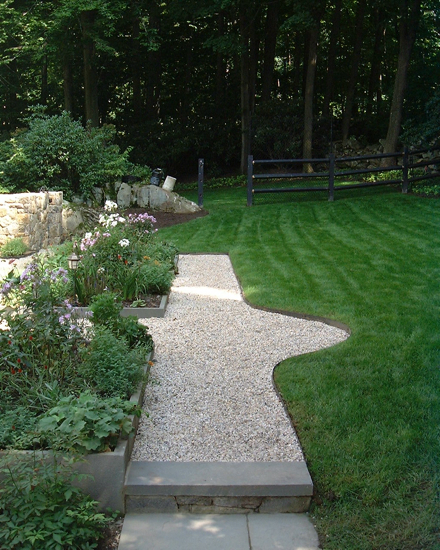 The combination of materials and type of uses are endless below are some examples of walks we construct. 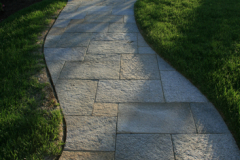 to plan out the perfect driveway for your home.